Learn how businesses all over are using beacons to bridge the gap between the physical and digital to bring the world at our fingertips. Everything you need to know about beacons in one place. Also learn how various brands are using beacons to engage with customers. Beacons are opening up the possibilities of how retailers can use them to engage customers. Here are some tips on succeeding with beacons. As customers turn to mobile to shop conveniently, retailers are losing out on sales. Learn what lies in the future of in-store shopping. This webinar is focused on helping agencies understand how Eddystone can help brands maximize on their ROI and how brands across various verticals are leveraging it successfully. 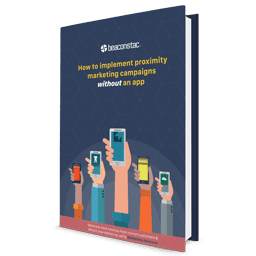 This webinar is aimed at helping businesses understand how Google Nearby will impact the proximity marketing space and how they can leverage the same to succeed with beacons. This webinar is aimed at helping businesses understand the nuances of setting up an Eddystone beacon pilot from scratch. This webinar is aimed at helping brands understand how iBeacon and Eddystone measure up against each other and which of these beacon formats will lead the pack in 2016. This webinar is aimed at facilitating businesses on how they can use beacons to ramp up their marketing strategy in 2016. This webinar is aimed at helping businesses understand the nuances of setting up a beacon pilot from scratch. This webinar talks about 7 ways in which retailers can use beacons for marketing. 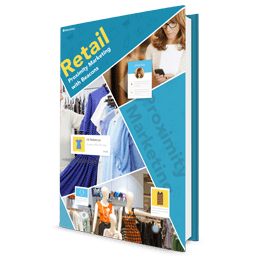 Also covers best practices on how retailers can increase sales using beacons. This webinar offers location-based mobile advertising lessons for retailers, and talks about the impact of iBeacon technology, Wi-Fi and Geo-fencing on retail sales. This webinar discusses how museums can use beacons to gain insights on visitor behavior and to generate more revenue. This webinar talks about how you can create effective beacon campaigns that drive ROI. This webinar talks about what issues businesses face while deploying beacons and why beacon management is a big deal. This webinar focusses on procurement of beacons detailing some of the best practices you should keep in mind while choosing the right beacon hardware for your business. This webinar talks about the various ways in which businesses can integrate beacons with their mobile strategy. Learn the basics of beacons as well as the challenges of deploying them in the real world. We also talk about beacon management, potential pitfalls and how to avoid them.